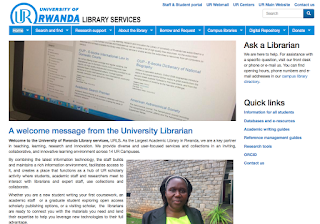 The peak of the website workshop at the University of Rwanda in February, was the official pre-launch of the UR Library services' website. 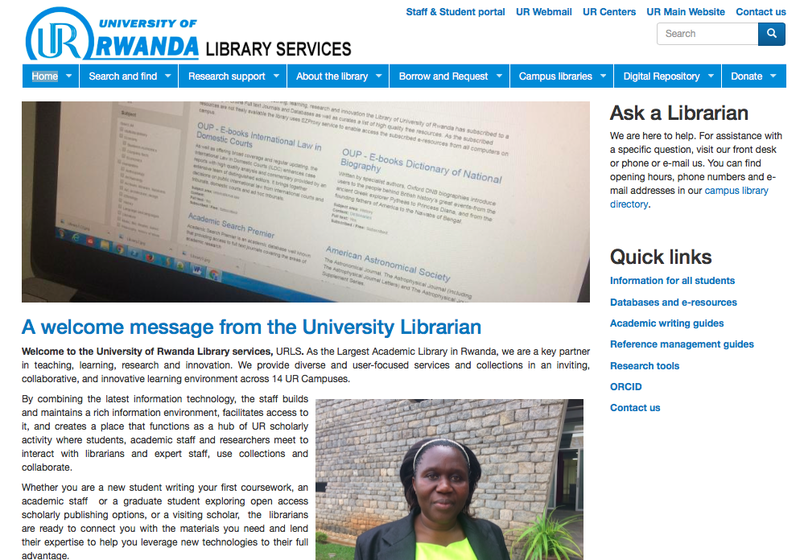 This website will be the central website for all college libraries and for all services and for tools and resources shared all over the University of Rwanda. Thus, this is where you will find the shared catalogue and the digital repository (both upcoming), but where you will also find information on specific libraries, research and student support, as well as guidelines and tools in areas such as academic writing, referencing and antiplagiarism. The website is still under construction, but the gives insight into the objectives and aims of the modern research library that we are in the process of building up together. This has been a process of great involvement from all partners and the happiness and satisfaction that we all felt at the pre-launch was evident to everybody who attended, including the Vice Chancellor and two Deputy Vice Chancellors.